The AAS Laboratory Astrophysics Division (LAD) is pleased to announce its award recipients for 2016. 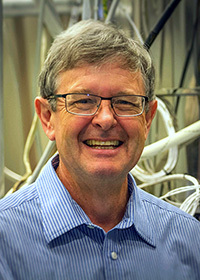 The Laboratory Astrophysics Prize, given to an individual who has made significant contributions to laboratory astrophysics over an extended period of time, goes to Dr. Peter Beiersdorfer of the Lawrence Livermore National Laboratory (LLNL), California, for his numerous contributions to the study of astronomical environments at extreme-ultraviolet and X-ray wavelengths. 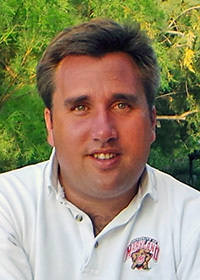 The inaugural LAD Early Career Award, given to an individual who has made significant contributions to laboratory astrophysics within 10 years of earning a PhD, is awarded to Dr. François Lique of the University of Le Havre, France, for his numerous contributions to the study of interstellar processes through theoretical calculations of rate coefficients for the collisional excitation of interstellar molecules by the most abundant neutral species. Beiersdorfer pioneered techniques to reproduce conditions on comets and in the Sun’s atmosphere, interstellar space, and the centers of galaxies. A major focus of his research involves characterizing atomic and molecular diagnostics as revealed by their X-ray spectra. His studies of emission from the inner electron shells of iron, oxygen, neon, silicon, and sulfur are used to interpret the physical conditions in astronomical environments, both near and far. His work on X-ray emission from charge exchange revealed the importance of this process in cometary atmospheres. Beiersdorfer received his PhD in plasma physics from the Department of Astrophysical Sciences at Princeton University. His previous honors include Fellowship in the American Physical Society, and he was the recipient of many LLNL Distinguished Achievement Awards, most recently in 2003, and one of the inaugural Outstanding Referee Awards of the American Physical Society in 2008. In 2016 he is chair of the nearly 3,000-member-strong Far West Section of the American Physical Society. He has trained several graduate students who have gone on to prominent careers in astrophysics. Lique uses sophisticated theoretical methods in quantum chemistry for interpreting astronomical observations of interstellar molecules. A major focus of his research involves characterizing the potential-energy surfaces associated with collisions and reactions occurring in space. His calculations, done while working closely with experimentalists and observers, provide insight into the rich chemistry occurring in interstellar clouds and stellar atmospheres. Lique received his PhD in physics from the Universite Pierre et Marie Curie, Paris, France. He then joined the research group of Prof. Millard H. Alexander as a postdoctoral fellow in the Chemistry Department of the University of Maryland. His previous honors include the Young Researcher Prize of the French Astronomical and Astrophysical Society in 2014. Since joining the faculty at the University of Le Havre, he has trained several graduate students and postdoctoral scholars. Both LAD prizes include a cash award, a framed certificate, and an invited lecture by the recipient at a meeting of the Laboratory Astrophysics Division.